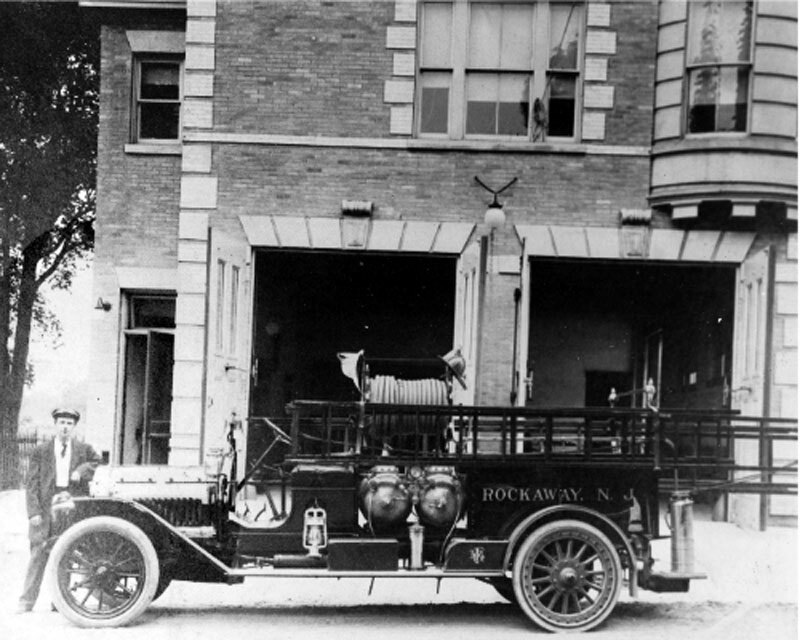 "Fred Fichter ... was the 'skillful artisan' who fashioned one of Rockaway's first motorized fire engine. He took the tanks off a horse-drawn vehicle and placed them on the chassis of a Royal Tourists* automobile, which he had completely remodeled." - From "Rockaway Borough Diamond Jubilee, 1894 - 1969"
* One of our later Borough history books states that the chassis was a Durant.